The midterm elections have been rough on Democrats. 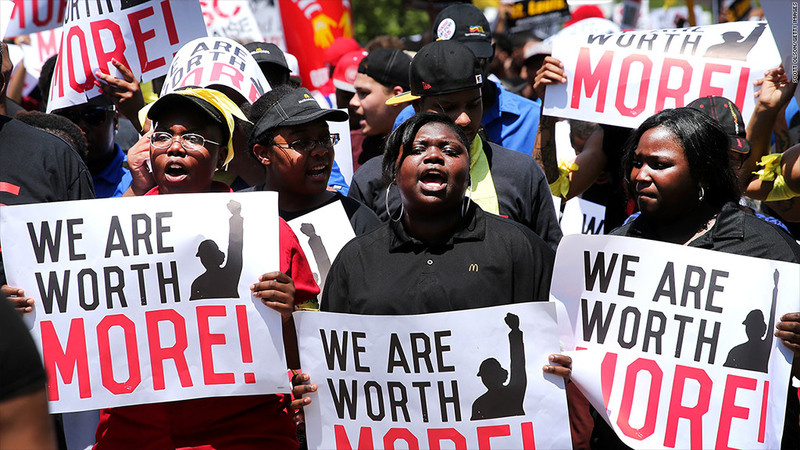 But they did well on one key issue they've been championing for months -- a higher minimum wage. Based on the results tallied by 2:45 a.m. EST, voters in Alaska, Arkansas, Nebraska and South Dakota -- all red-leaning states -- had approved proposals to raise their state-level minimum wages over the next few years. 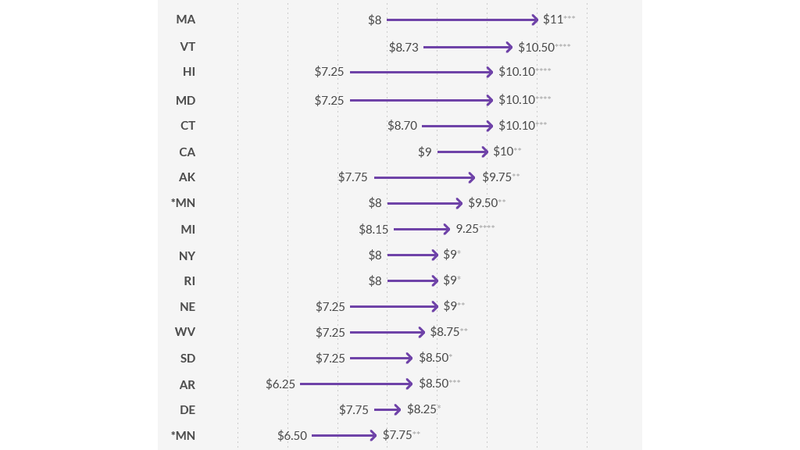 Alaska: The minimum wage will rise from $7.75 an hour today to $9.75 by 2016. Arkansas: The minimum wage will rise from $6.25 an hour now to $8.50 by 2017. Nebraska: From $7.25 today to $9.00 by 2016. South Dakota: From $7.25 currently to $8.50 next year; it will be adjusted for inflation thereafter. They join 12 other states and Washington, D.C., all of which have moved in the past two years to raise their state minimums. Voters in Illinois also approved a measure Tuesday night to raise that state's minimum wage from $8.25 today to $10. But the vote was nonbinding, operating as more of an opinion poll, and the results won't change Illinois law. Share your story: Are you a part-time worker? At a more local level, voters in the California cities of San Francisco, Oakland and Eureka also were asked to weigh in on a higher minimum wage. Some votes are still being tallied, but preliminary numbers suggest the measure was approved in San Francisco, where the minimum wage would be gradually raised to $15 by 2018, up from $10.74 currently. San Francisco Mayor Edwin Lee declared victory on the issue, saying "San Francisco voters sent a message loudly and clearly to the nation that we can take on the growing gap between rich and poor, we can give a well-deserved raise to our lowest-wage workers, and we can do it in a way that protects jobs and small business." If the final tally does confirm majority approval of the wage hike in San Francisco, that city will be at the front of the pack with Seattle, which recently approved a $15 minimum by 2017. Across the bay in Oakland, voters backed a measure to raise the minimum wage to $12.25 and provide paid sick days for workers in the city. The measure passed with 80% approval, according to unofficial results. But an effort to establish a $12 minimum wage the small Northern California city of Eureka appears to have failed.